Studiometry 7 comes with additional default Estimate templates. If you have data from before Studiometry 7, or you deleted the estimate templates, they may not appear in your templates list. 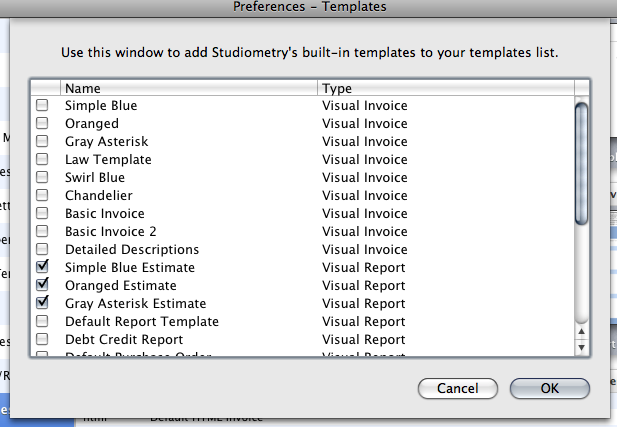 To add these estimate templates back into Studiometry 7, navigate to your Preferences Window > Templates section. Once here, click the "More..." button underneath the Visual Templates section. 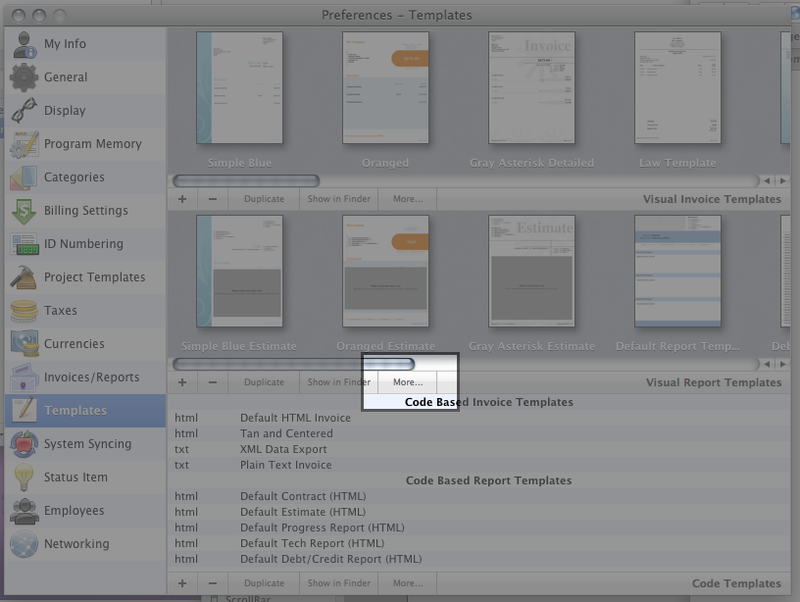 A window will appear allowing you to check default templates to add them to your templates list. Select "Simple Blue Estimate," "Oranged Estimate," and "Gray Asterisk Estimate" and then press OK.
Studiometry will insert these templates into your Visual Report template list and let you select the templates when creating new reports.